Peyton Manning must've been all high-fives once he found out what was on the post-game menu. The Broncos rewarded their winning quarterback with a meal that tastes so good. 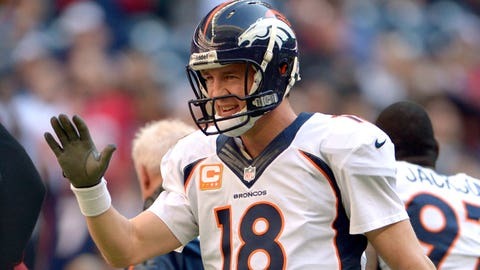 As you probably know, Manning is a huge chicken parmesan enthusiast. The dish has appeared in both of his “Nationwide” spots, including his first ad from last year. Manning and the Broncos' offense hasn't found its comfort zone. But at least they're eating some comfort food.